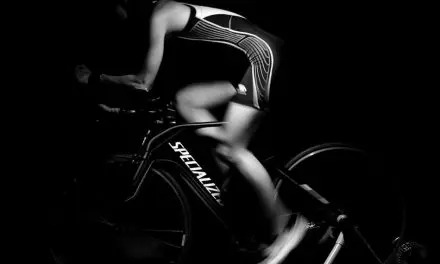 Indoor Cycling vs Outdoor Cycling - Which is the best workout? Here’s a test, nip out on your bike before you read this but don’t do your usual prep. Make sure you’ve not eaten for at least 3 hrs or taken any energy drinks or gel. Just go for about 20 mins and take no water either. How did that feel? I’m actually hoping you didn’t do that as it’d be pretty dumb – but you knew that (unless of course you’re doing a fasted ride). Whatever you’re pre-ride routine currently is, one thing is for certain, you know that you need to eat something before you go. But why? Energy, in a word. We recently wrote this article on how many calories do we burn when cycling which shows that an average, regular riding, cyclist will burn around 500-600 calories per hour. On that basis, an average days ride could burn anything from 2,000 to 3,000 calories. Wow. Put it another way, that the equivalent of over a days food intake. What you eat makes a big difference to your performance. Correct fuel intake will help you to make it up those steep climbs, pedal faster and recover at a faster rate too. It’ll make those post ride moments more comfortable and less like, omg, why did I just do that. Cycling is meant to be fun, so enjoying the ride is essential. So, start the day with a high energy breakfast, add power snacks on the bike and enjoy post ride energy meals to ensure you get your sports nutrition needs. Before you start your ride, it’s important to have a good breakfast. Being hungry leads to an increase in stress hormones, which when released into the muscles, can increase muscle breakdown. This is a classic cause of feeling as though you have no energy, which is true, as you haven’t taken on-board enough fuel. Now, there is a trend to get on your bike without eating first (fasting), the belief being that this will help with fat & weight loss. I’m not a fan of this technique. Evidence shows that well-fed cyclists ride harder and train for longer, which leads to greater loss of calories. Thus, losing more weight and fat anyway. This latter technique puts less stress on the body which is much healthier than not eating before a ride. Ideally, breakfast should be eaten at least two hours prior to cycling, but this isn’t always possible and different people digest at different rates. The right breakfast will help to ensure you are fully hydrated for your ride. Well hydrated bodies can be identified by the colour of urine. It should be a very pale yellow, so if it isn’t you will need to drink some water, about a litre, before you ride. Carbohydrates help to fuel the body during a bike ride. These carbohydrates provide fuel to the active muscles and help fuel the nervous system. The brain uses glucose as its energy source, so a low intake may lead to general weakness, dizziness and low blood sugar. Reduced blood sugar during exercise decreases performance and can lead to mental and physical tiredness. So, good energy levels, good glucose intake and maintaining carbohydrate levels will ensure you have sufficient fuel to power your performance and help you feel better during cycling. You can achieve the right energy intake goals by using sports energy drinks, foods and gels. These are perhaps best used during cycling, to maintain high energy levels through a longer ride. You can hardly stop for a big meal during a ride but it’s still important to remember how many calories you’ll burn during the ride. If you watched the recent Tour de France you’ll have seen all the cyclists doing just this, the snack thing not the stopping for a big meal thing. The following table lists energy drinks from the leading suppliers, including Science in Sport / SIS, High5, Torq and PowerBar. The table shows nutritional information for each drink, and is ranked from best to least best (of the ones listed). 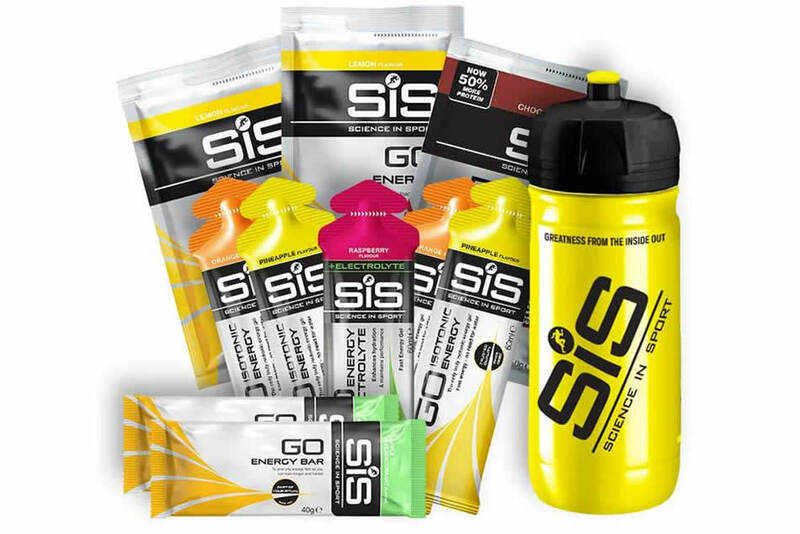 I personally use SIS GO Energy Drink as it has the highest ratio of carbohydrates at 94% (94g in a 100g portion). Whilst the High5 Energy Source Plus matches the carbs level, it has significantly more sugar (38g vs 7g). The Torq Energy Drink is a close 3rd and the pink grapefruit is a particular favourite so you can’t go wrong with any of those. Given that you’ll likely be drinking a couple of litres of these drinks per ride, it’s important that you actually like the taste so choose wisely. Our body stores enough energy for around 90 mins of exercise so if you are planning a ride of less than two hours, it’s not necessary to consume additional energy, whether this be in the form of energy drinks, energy gels or standard foods. However, endurance events such as Sportives or rides of more than 3-4 hours, additional energy may be required. 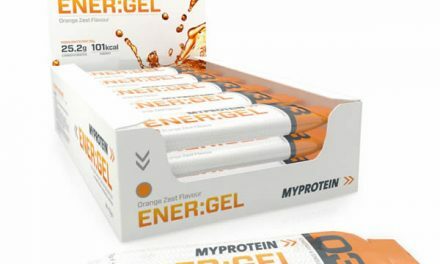 Energy Gels are quick bursts of carbohydrates to ensure you can keep cycling, without hitting the wall or worse, bonking (a sudden lack of energy whilst cycling). Nutritionists recommend an energy intake of 30g to 65g, depending on your fitness and current energy levels. Most of the energy gels listed in this table equate to taking 3 gels per hour to help you sustain your output but don’t take gels on their own, instead balance your consumption with other forms of energy. I’ve tried most of the gels listed and whilst I have my own favourites, you’ll need to try them out for yourself to find the one that suits you best. This will be a combination of texture, flavour and of course the effect. I’ve listed the gels from high to low energy levels, this being either kCal or carbs per gel packet. Just one final tip. Before you make a decision on which gel to buy, consider that the highest carbohydrate content in this list (Torq Energy Gels) is a massive +31% higher than the lowest (SIS Isotonic Energy Gels), which is considerable. At the end of your bike ride, it is important to refuel your body to ensure it re-stocks its energy levels. This also helps to ensure your muscles recover and stop the following day muscle fatigue. Reduced carbohydrate levels can lead to an increased rate of getting infections and minor illness like colds and flu. So, post ride meals are as important as pre-ride intake. Ideally it should contain a mix of carbohydrate and protein at an approx ratio of 3:1 as this help to regain the right fuel balance. So what foods should you choose. Certainly omega 3 healthy fats found in fish, walnuts, flax and pumpkin seeds are great for keeping inflammation at bay, as are fresh fruit and vegetables. Leafy green vegetables and brightly coloured fruits will provide plenty of antioxidants and flavonols, known for their anti-inflammatory properties. Apples and red onions can be especially helpful as their active ingredient, quercetin, is also known to reduce inflammation. Once you’ve finished your bike ride is not the time to stop drinking. You should aim to drink around 3 pints of water, or two litres. Once again, check that your urine remains a pale yellow and if not drink a little more. So is all this worth it. Yes of course it is. The more you follow these simple guidelines, the more energy you’ll have and in turn the more you will enjoy your cycling. Trust me, I’m not a Doctor. © Bikes.org.uk – this is not medical advice. If you need medical advice please consult someone who’s medically trained and qualified. Like many cyclists, I've been riding bikes since I was very young and despite now being just a little older, I love it just as much. I've done my time on touring bikes, have cycled throughout the UK, including Lands End to John O' Groats (yes, uphill!) and now have fun on a mountain bike in the hills of North Wales, do regular charity bike rides and sportives across Wirral, Merseyside and Cheshire on my road bike. 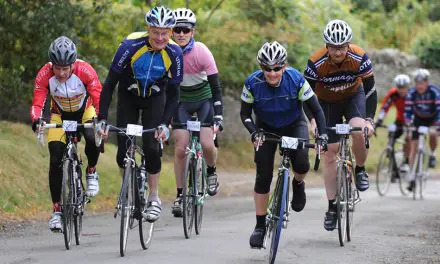 I took part in the inaugural Velo Birmingham Sportive and have launched a Cycling iCal to add UCI World Tour dates to a calendar in just a few seconds. 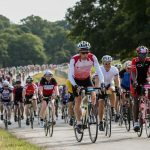 Bikes.org.uk is a cycling blog with advice on how to become a better cyclist, including fitness & nutrition tips, info on cycling sportives and product reviews.